Keep your hot beverages hot and your cold beverages cold in this stainless steel travel mug. 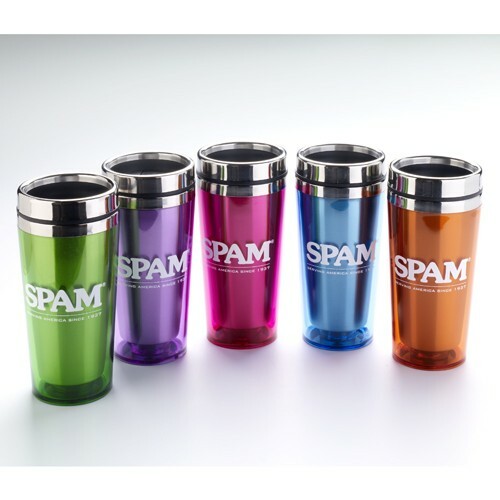 Colored plastic overlay features "SPAM® Brand - Serving America Since 1937" logo in white on one side of mug. Available in a variety of color options.